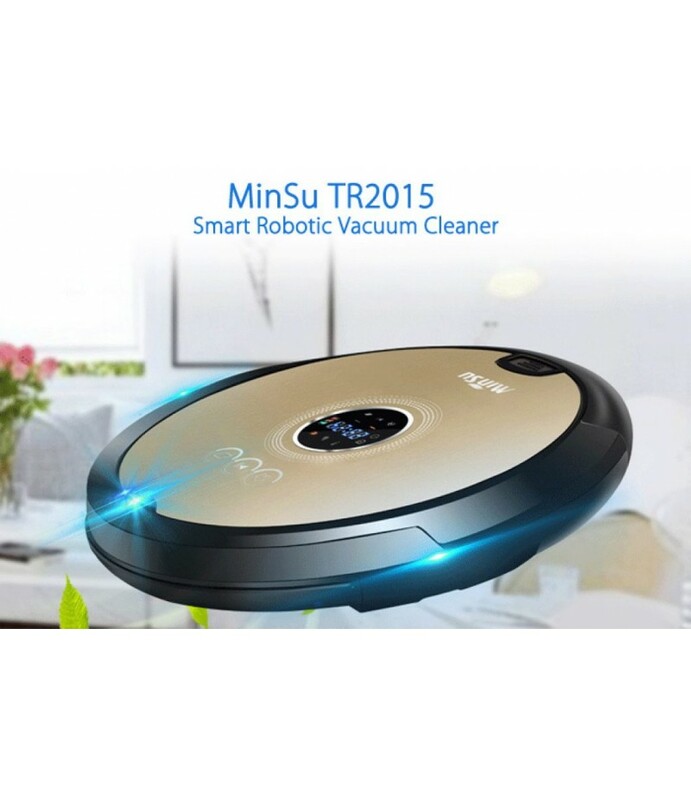 MinSu TR2015 Smart Robotic Vacuum CleanerMinSu smart robotic vacuum cleaner is an essential household cleaning machine. With anti-collision system and climbing ability, the cleaner can intelligently sweep the house without any obs..
MinSu smart robotic vacuum cleaner is an essential household cleaning machine. With anti-collision system and climbing ability, the cleaner can intelligently sweep the house without any obstacles, thus protecting furniture from damage. The multiple cleaning modes, super compatibility and strong suction help you clean the house efficiently. Slim body design allows it to go easily under the sofas, beds, kickstands, etc. Slim body design ensures the unite goes easily under the sofas, beds, kickstands, etc.